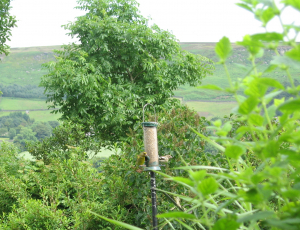 Observation - finches - UK and Ireland. Description: finches on our feeder in the garden. A greenfinch and a chaffinch either a female or a young bird. finches on our feeder in the garden. A greenfinch and a chaffinch either a female or a young bird.